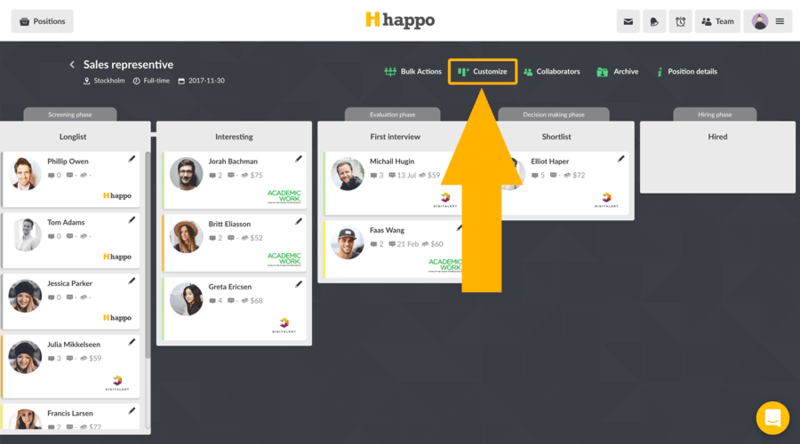 Tailor your recruitment pipeline to fit your needs in your recruitment pipeline by customizing your stacks and candidate card fronts. You can customize your recruitment pipeline by adding stacks and renaming them to Shortlist or Favorites, whatever helps your workflow. Need to see specific details about a candidate a glance? You can also customize the candidate card front to only see the information that matters.